‘When I was young there were degrees of certainty’: these words I quoted the other day from Anne Carson evoke a sense of certainty instilled by the repetition of known stories. In childhood, if the world makes sense at all it does so because the stories we hear about it cohere. The ‘storied world’ takes on new meaning when applied to the central character of J.M. 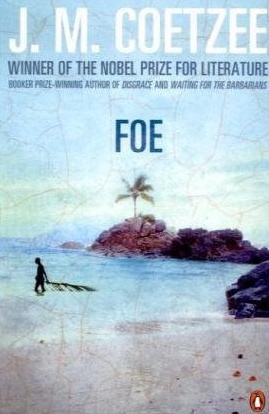 Coetzee’s Foe, one Susan Barton, who, having travelled to Brazil to search for her kidnapped daughter, is cast adrift by mutineers, and washed up on an island inhabited by a dull and grumpy ‘Cruso’ (who after briefly becoming her lover, dies on her) and a mute Friday, whose tongue has been cut out, according to Cruso, by slavers. “The Female Castaway. Being a True Account of a Year Spent on a Desert Island. With Many Strange Circumstances Never Hitherto Related.” Then I made a list of all the strange circumstances of the year I could remember: the mutiny and murder on the Portuguese ship, Cruso’s castle, Cruso himself with his lion’s mane and apeskin clothes, his voiceless slave Friday, the vast terraces he had built, all bare of growth, the terrible storm that tore the roof off our house and heaped the beaches with dying fish. Dubiously I thought: Are these enough strange circumstances to make a story of? 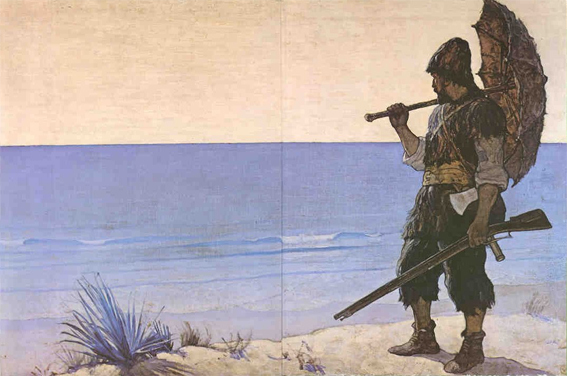 How long before I am driven to invent new and stranger circumstances: the salvage of tools and muskets from Cruso’s ship; the building of a boat, or at least a skiff, and a venture to the mainland; a landing by cannibals on the island, followed by a skirmish and many bloody deaths; and, at last, the coming of a golden-haired stranger with a sack of corn, and the planting of the terraces? Alas, will the day ever arrive when we can make a story without strange circumstances? Thus Susan Barton is unwittingly made the mouthpiece for the story Defoe actually wrote (but she cannot). How poor Susan needs to satisfy the need to tell and tell, and yet not to cross that invisible line into mere ‘invention’. How curious that the confection of her story demands such truth-telling; and yet all around her are those whose very lives depend on the invention of fictions. Even without the lepers and acrobats and pirates and whores, Coetzee has the patience to furnish a story that is both intriguing and beautifully crafted. And my copy now carries the invisible traces of a thousand other stories, and of a hot day in August.